(Natural News) The dangers of eating processed foods have been talked about and shown time and time again in plenty of studies spanning decades. As if to serve as a reminder that things have not really changed at all, a handful of more recent studies show just how dangerous the habit of eating processed foods can be. There are so many different types of so-called superfoods that are known to be great sources of nutrients and can help anyone looking to maintain a certain level of health. Still, it’s no secret that most people indulge in processed foods more often than not. And as an article posted online on the website Waking Times notes, “sometimes we need a stark reminder of the dangers of processed foods to stay on track with our diet goals.” To that end, they’ve gone over a few research studies that each focus on specific dangers that could and should be avoided simply by letting go of processed foods in your diet. In the first two studies that they highlighted, researchers showed evidence that a diet that is high in processed foods can put individuals at risk of cancer and obesity. To be more specific, one study’s results stated that “40.8 percent of incident cancer cases were attributable to exposure to the 24 factors included in the analysis.” This underlined the assumption that certain diet-related personal choices really do play a huge role when it comes to cancer risk. The same applies to obesity as well, as the second study notes that the ultra-processing of foods leads to problems such as excessive amounts of saturated or trans-fats, sugar, and sodium and foods. Not to mention the low amount of vitamins and minerals in them, too. When you add in the fact that processed foods usually tend to be “calorie packed per bite,” you get a combination that leads to widespread obesity. On the second study that they highlighted, the focus was on industrial chemicals in processed foods. In a standard laboratory test conducted by The Coalition for Safer Food Processing and Packaging on 10 different kinds of mac-and-cheese products, they found that industrial chemicals were present in cheese powders. After testing for one chemical in particular called phthalates, they concluded that the products containing it posed a very real danger to consumers. There’s no denying that the popularity of the Western diet, which tends to include many processed foods, has slowly but surely started to take over other parts of the world. 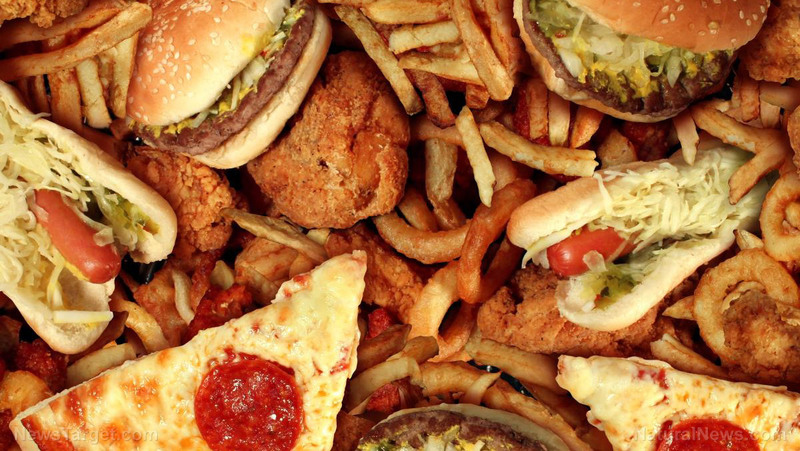 Even developing nations have become enveloped in the phenomenon that is the Western Diet. For this reason, it’s now more important than ever to be aware of the dangers of eating processed foods. So it’s a good thing that all of these recent studies are still coming out with more and more evidence and information that the general public and rely on and use. You might think that taking processed foods out from your diet completely will result in a loss of nutrients somehow, but the reality is that you stand to gain so much as soon as you finally do it. After all, the logical alternative you would have to eat after you stop eating processed foods is natural, organic superfoods that have been proven to be highly effective and extremely nutritious. With these things in moderation, you will surely be on your way to a healthier version of yourself. Read more about good food vs. bad food ingredients at Food.news.